이 소나무는 입석마을의 고갯마루에 서 있으며 나이는 약 500살 정도로 추정(지정일 기준)된다. 높이 21.2m, 가슴높이의 둘레 3.48m의 크기로 속리산의 정2품송과 비슷한 모습이나, 줄기가 끝으로 가면서 5°정도 기울어 비스듬하게 자랐다. 줄기의 윗부분은 적송(赤松) 특유의 붉은 빛을 띠며, 아랫부분은 나무껍질이 두껍다. 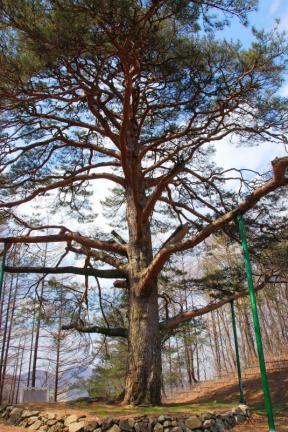 가지는 사방으로 균형있게 뻗었다. 이 나무는 400여 년 전 입석마을이 생겨나기 전부터 마을 입구에서 자라던 나무로, 마을 동제를 지내던 국사당의 소나무는 죽고 이 나무만 생존하여 마을의 수호신 역할을 하고 있다. 이 소나무는 오랜 세월동안 조상들의 보살핌을 받아온 나무로 민속적·생물학적 자료로서의 가치가 높아 천연기념물로 지정하여 보호하고 있다. 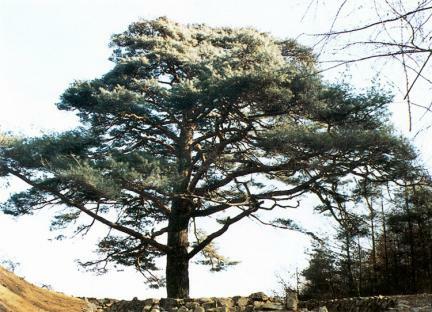 The pine tree in Goesan is about 500 years old, with height of 21.2m and girth of 3.48m. 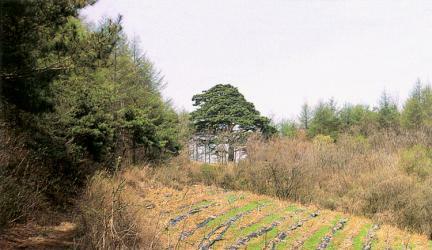 It looks like Jeongipumsong Pine Tree in Songnisan Mountain. 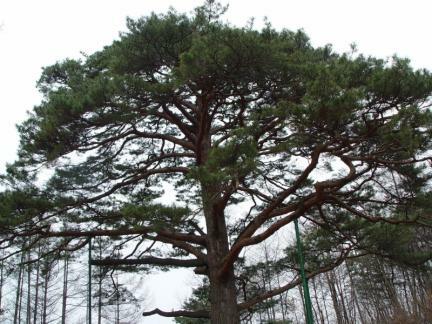 This tree branches into all directions, with its branches inclined by about 5 degrees. 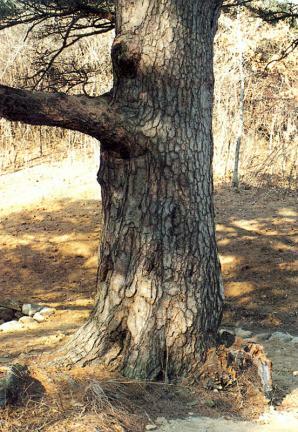 The upper branches of this tree are tinted with red, and the lower branches have thick bark. 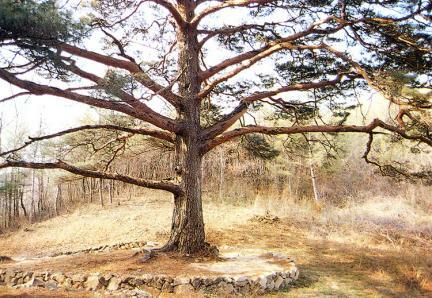 This tree was planted about 400 years ago and has been regarded as the guardian deity of the village. 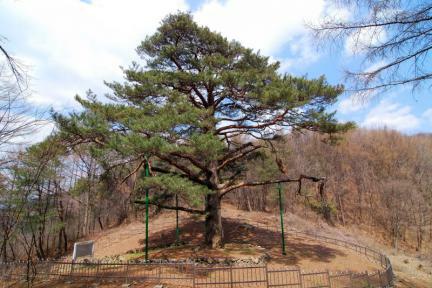 Jeokseongni Pine Tree has been preserved by Korean ancestors' care and concern for a long time. 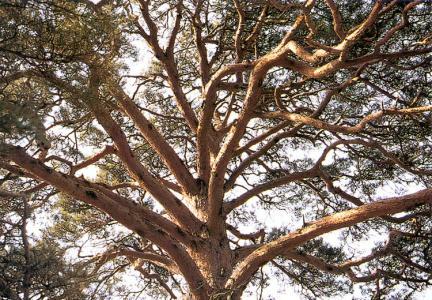 It has been designated and protected as a Natural Monument for its historical value in biological research.